Image courtesy of Craig Stokes’ Facebook page. I was recently introduced to Craig Stokes through his #ImABrand webinar, sponsored by iBlack, the leading lifestyle portal for Black professionals in the DC area. Stokes is a phenomenal, multi-talented TV host/personality (“Style Minute” and “Craig Stokes Presents: The Show”), lifestylist, and motivational speaker. 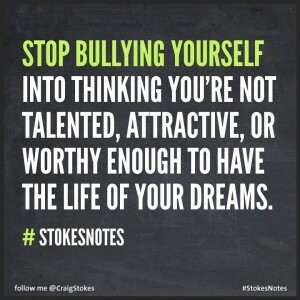 Throughout his presentation, Stokes shared several bits of motivational wisdom in the form of #StokesNotes. After doing some additional research, I came across several #StokesNotes that left a great impression on me (especially the one shown above). When we talk about our self-esteem, self-worth, and self-confidence, the focus is often on the external factors (such as family, friends, our community, our environment, our culture, and the media) that have negatively influenced how we feel about ourselves. Too little focus, I believe, is given to the part we play in these beliefs. As humans, we have the tendency to get in our own way. We thwart our own progress by not looking within…by not first believing in ourselves. How can we expect to achieve our dreams if we don’t think we’re worthy of them? It’s time to take back our power. Our dreams have value. They matter. We have value. We matter. 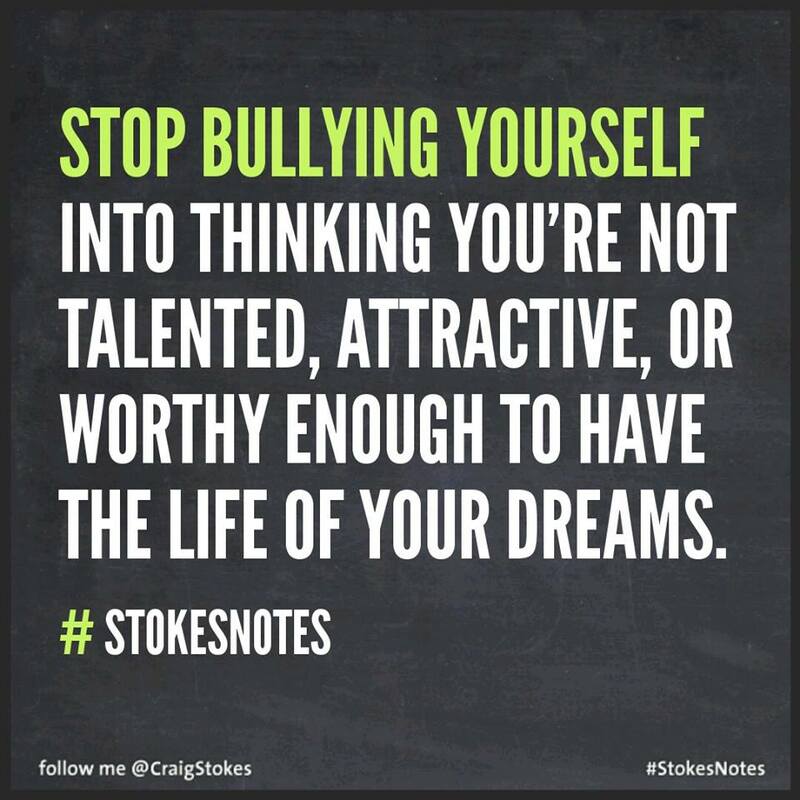 For more #StokesNotes, go to Craig Stokes’ Instagram and Facebook pages. This entry was posted in Craig Stokes, Inspiration, Introspection, Motivation, Self-Confidence, Self-Esteem, Self-Worth by BuddahDesmond611. Bookmark the permalink. Oh my gosh…first of all I have to say a belated congrats on your book. I will definitely will be purchasing a copy. You are so right too about how we get in the way of our own progress. I’ve put off so many things in life because I was afraid to take the risk. I’m at the point now that I do need to work towards making changes to my personal life that will make me happier and saner. As always it’s a work in progress, but that’s always the case in life. I’m happy to see things are progressing good for you. Keep it up. Awww, thank you so much! I’m doing my best. It was a process to get to this point. When making major changes or life decisions, I, too, get apprehensive and sometimes worry about the risks. But I also question how I will feel if I don’t take the leap. There’s nothing wrong with being afraid. It’s natural. But we’ve got to push through it and think about the many wonderful things in store on your journey to a happier, more fulfilled life. Take your time. Be strong. You’ve got this!